*The Katie & Annalise Series: Three Full Length Novel Box Set (Deal, Not Free) by Pamela Fagan Hutchins. Cost: $0.99. Genre: Mystery Box Set Deal, Sponsor, Romantic Comedy, Romantic Suspense. Rated: 5 stars on 6 Reviews. 801 pages. ASIN: B00MMSC1CS. ***Bluegrass State of Mind (Bluegrass Series Book 1) by Kathleen Brooks. Price: Free. Genre: Romance, Sponsor, Romantic Suspense, Romantic Comedy. Rated: 4.3 stars on 1403 Reviews. 291 pages. ASIN: B00589BAWK. NY Times Bestselling Author Kathleen Brooks. ***Bluegrass State of Mind (Bluegrass Series Book 1) by Kathleen Brooks. Price: Free. Genre: Romance of the Day, Sponsor, Romantic Suspense, Contemporary Romance, Suspense, Romantic Comedy. Rated: 4.3 stars on 1403 Reviews. 291 pages. ASIN: B00589BAWK. *All At Sea (Finding Sweet Love Series) by Tracey Pedersen. Price: Free. Genre: Romance Suspense, Suspense, Sea Stories. Rated: 5 stars on 8 Reviews. 241 pages. ASIN: B01AGB4QQG. *Take the Money and Run Book 1 by Samantha A. Cole. Price: Free. Genre: Military Romance, Romantic Suspense. Rated: 4.8 stars on 20 Reviews. 199 pages. ASIN: B01FLMRDOC. Sweet $1 Steamy Romance Deal of the Day! *Mistress of Desire & The Orchid Lover (Deal, Not Free) by J. A. Jackson, Rossi Jackson. Price: $0.99. 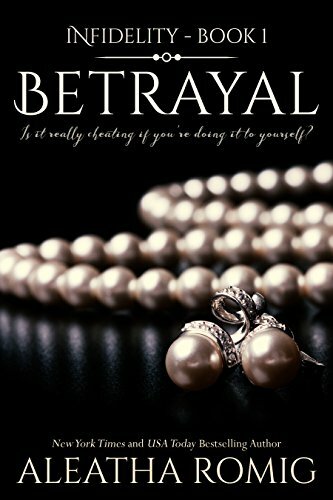 Genre: Steamy Romance Deal of the Day, Sponsor, Romantic Suspense, Contemporary Romance. Rated: 4.6 stars on 8 Reviews. 254 pages. ASIN: B00ND6HV3C. ***Center Mass (Code 11- KPD SWAT) by Lani Lynn Vale. Price: Free. Genre: Military Steamy Romance of the Day, Romantic Suspense, Contemporary. Rated: 4.5 stars on 189 Reviews. 293 pages. ASIN: B00VMVL2T4. *Mistress of Desire & The Orchid Lover (Deal, Not Free) by J. A. Jackson, Rossi Jackson. Cost: $0.99. Genre: Adult Romance Deal, Sponsor, Romantic Suspense, Contemporary Romance. Rated: 4.6 stars on 8 Reviews. 254 pages. ASIN: B00ND6HV3C. *A Devil of a Time by Gretchen Jeannette. Price: Free. Genre: Historical Romance of the Day, Historical, Romantic Suspense. Rated: 4.6 stars on 10 Reviews. 487 pages. ASIN: B00ORJ8ZKW. **Shameless (The Contemporary Collection Book 1) by Jennifer Blake. Price: Free. Genre: Military Romance, Suspense, Romantic Suspense. 346 pages.Rated: 4.2 stars on 135 Reviews. ASIN: B00CJNDKUS.